Could natural home remedies for wrinkles be your fountain of youth? If you are fighting the battle against time, nature's pharmacy contains plenty of natural skin care remedies for wrinkles. The best thing is, most can be found right in your kitchen. Just remember, it took years for your wrinkles to form, so it will take a little time and persistence to help send them on their way. Before you spend a fortune on expensive anti-aging products, consider trying a few of these natural home remedies for wrinkles. 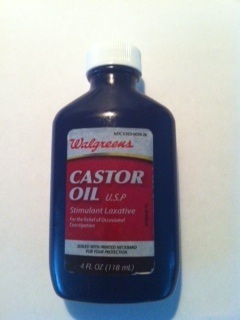 Castor oil has been used since biblical times for its healing properties. It is considered by many to be one of the best natural skin emollients available. An emollient and skin softener, castor oil also acts as a powerful humectant. It helps skin to attract and retain moisture, making it one of the best home remedies for wrinkles. To help fight under eye wrinkles with castor oil, gently apply castor to the under eye area nightly. Want younger looking skin? Forget expensive "miracle" creams and serums, and opt for coconut oil instead. Coconut oil benefits aging skin with its emollient, re-hydrating, and elasticizing properties. Coconut oil may actually be one of the oldest home remedies for wrinkles. It's reported that when the tomb of Egyptian pharaoh King Tut was opened, researchers found a papyrus containing the king's very own anti-wrinkle formula. This formula is said to have included coconut oil. You don't need this super secret anti-wrinkle formula to take advantage of coconut oil's benefits for aging skin. Simply applying a small amount of coconut oil to the delicate skin around the eyes helps to reduce and smooth fine lines and wrinkles. Cucumber has a long history of being used for preventing wrinkles. There is nothing more nourishing for the skin than the juice of cucumber, making it one of the best home remedies for wrinkles. Cucumbers are naturally hydrating and moisturizing to skin. Cucumbers also contain vitamin C and caffeic acid. These powerful antioxidants help build collagen and elastin, and protect skin cells from the damaging effects of UV rays. To take advantage of the many benefits of cucumber for skin, try a cucumber face mask. Puree half a cucumber and 3 tablespoons of plain yogurt making sure the resulting mixture isn't too thin and drippy. Pat mixture on your face, and neck and let sit for 15 minutes. Rinse with cool water and pat dry. Eggs are one of the oldest beauty aids for skin. They also happen to be one of the most popular home remedies for wrinkles. Eggs are packed full of skin nourishing vitamins, protein, lecithin, and iron. Help keep wrinkles at bay simply and naturally with a homemade egg mask. Essential oils are effective and convenient home remedies for wrinkles. 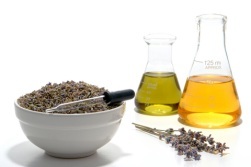 Essential oils help rejuvenate mature skin by regenerating new skin cells. Carrot seed, chamomile, frankincense, lavender, and neroli are essential oils that are said to be effective against wrinkles. Herbs help soothe, stimulate, moisturize, tighten, heal, and cleanse the skin making them perfect home remedies for wrinkles. Herbs for wrinkles and cell renewal include St. John's wort, ginseng, sage, and cowslip. 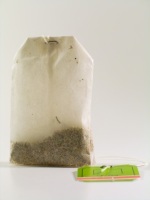 Herbal teas can also be used to help keep skin moist and deter wrinkles. The following mineral rich herbal teas contain soothing and emollient compounds that help lubricate the body: marshmallow root, Irish moss, plantain leaves and violet leaves. Consuming 3-4 cups of these herbal teas daily may help in your fight against aging. One of the oldest beauty treatments and home remedies for wrinkles, honey has long been used for its skin rejuvenating properties. Hydrating, healing, moisturizing, and nourishing, honey helps soften skin while smoothing wrinkles. Smooth away lines and wrinkles with a homemade honey face mask. Got milk? It just so happens milk just might be your best ally in the fight against wrinkles. The natural beta hydroxy acids and lactic acid found in milk help to gently exfoliate and condition the skin. To add milk to your wrinkle fighting arsenal, try using a homemade milk face cleanser. Combine whole milk or powdered milk with enough water to create a paste to gently and naturally cleanse the face. The proteins found in milk make skin silky smooth, while the lactic acids remove dirt and old leathery layers of skin. Olive oil is one of the simplest home remedies for wrinkles. Olive oil benefits skin by keeping it soft, smooth, and supple, thereby helping to reduce the appearance of fine lines and wrinkles. Adding olive oil to your diet, along with other antioxidant rich foods, is an easy way to help prevent skin cell damage from occurring and keep wrinkles far, far away! Used topically, vitamin E rich olive oil, protects the skin from UV rays and helps reduce the appearance of fine lines and wrinkles. To use olive oil as a wrinkle fighting facial moisturizer, simply smooth 2-3 drops of virgin olive oil (preferably organic) in the palm of your hands and gently pat onto your face. Rich in antioxidants, including skin loving vitamins A, C, and E, papaya is the perfect home remedy for wrinkles. Papayas are also chock full of enzymes that can slough away the top layer of your skin and help reduce the appearance of wrinkles. To take advantage of papaya's natural exfoliating enzymes, simply rub the inside of a papaya peel on your face, and leave the juice on your face for no more than 5 minutes before rinsing off. Forget walking like an Egyptian! Fight wrinkles like an ancient Egyptians with sweet almond oil. Sweet almond oil helps soften the fine lines around the eyes and mouth, making it a great home remedy for wrinkles. Ancient Egyptian beauties are said to have blended a few drops of frankincense essential oil with almond oil to create their very own anti-wrinkle formula. Gently massage sweet almond oil onto problem areas twice a day to help keep skin soft, smooth, and wrinkle-free. Nutritional supplements and vitamins are key in helping to improve the appearance and health of aging skin. Effective natural skin care starts with good health, and aging skin can benefit greatly from the right nutritional supplements. Help fight wrinkles from the inside out with the the following vitamins and nutritional supplements. **Always consult a medical consultant before adding nutritional supplements to your diet. Vitamin A helps preserve the skin's elasticity, regulates sebaceous glands, and stimulates collagen formation. Vitamin E (400 IU daily) helps our bodies utilize oxygen better, balances hormonal production, and preserves the skin's elasticity. Black currants are one of the richest sources of vitamin C and omega 6 fatty acids, which are crucial for healthy skin. Black currant also helps firm skin and reduce fine lines and wrinkles. Panthenol, a pro-vitamin B derivative, helps skin retain moisture and reduces fine lines and wrinkles. Zinc (15 mg daily) is an important supplement for healthy skin. It helps synthesize collagen and helps promote cell division, cell repair, and cell growth.